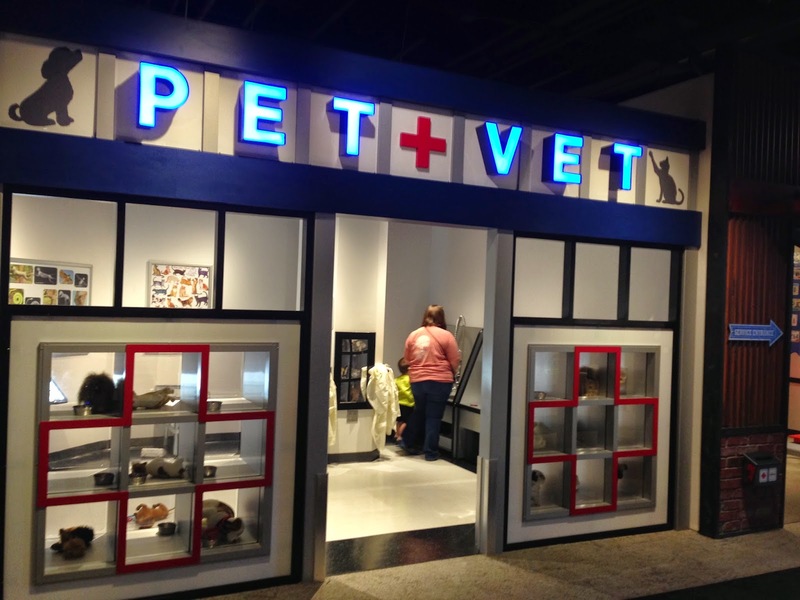 Birmingham finally has a children's museum! Itty Bitty Magic City, designed for ages kindergarten and younger, opened on May 16. 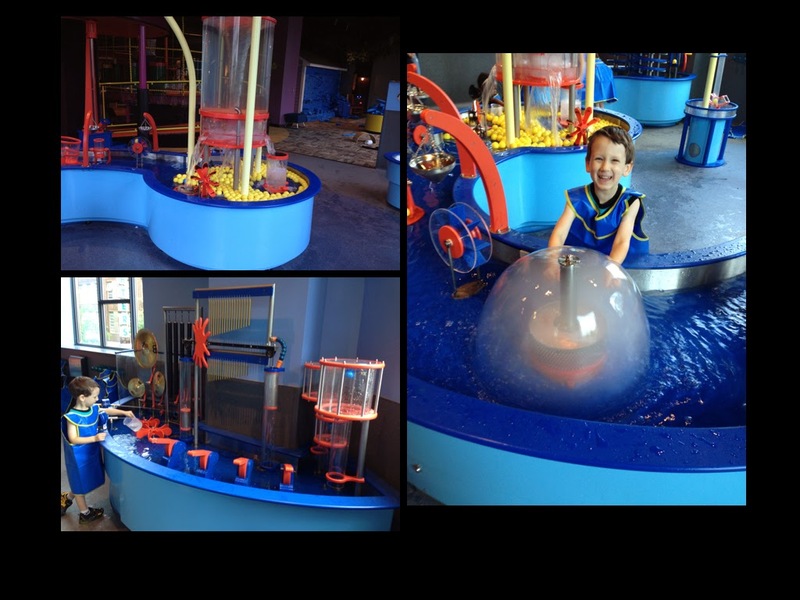 Itty Bitty Magic City is located on the second floor inside the McWane Science Center, located in downtown Birmingham at the corner of 2nd Ave North and 19th St North. 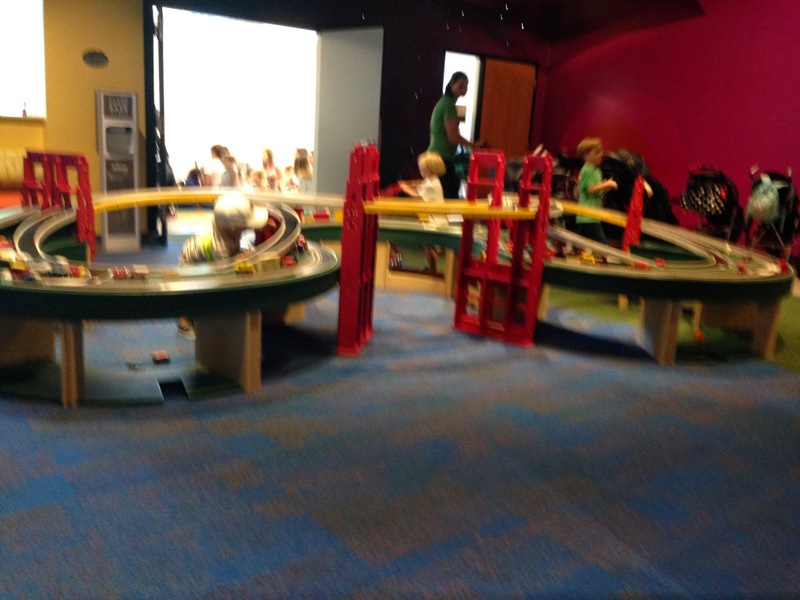 I have visited several children's museums over the years and have always wanted one in Birmingham. I'm so happy this opened in time for Jaxon to get to enjoy for a couple of years! Built to resemble a classic Main Street, Itty Bitty Magic City contains a diner, a market, a vet clinic, a market, a farm, a post office, a house, a fire station, and a mechanic's garage. 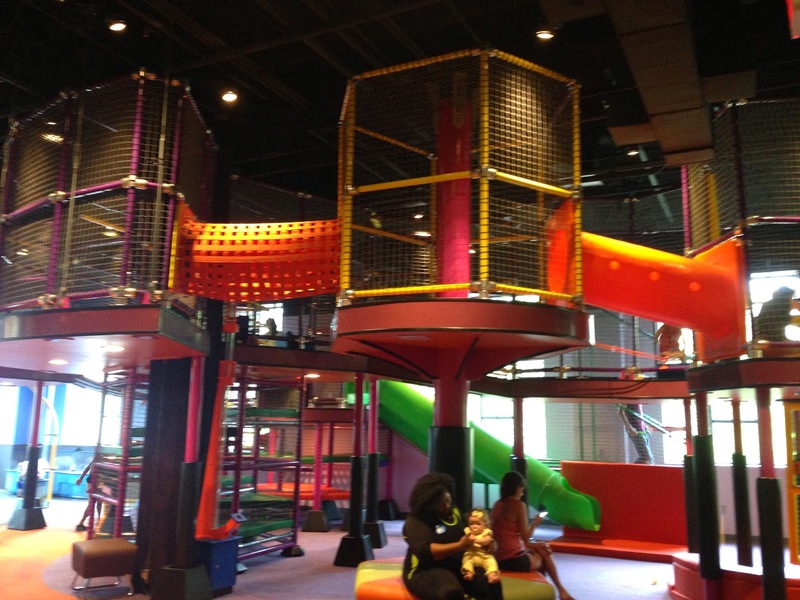 Each area is designed to facilitate creative play and has room for multiple children to play at the same time. At the diner, there is plenty of play food and space for several chefs to prepare and serve food. Jaxon had a great time taking my order and assembling pizzas and sandwiches for me. 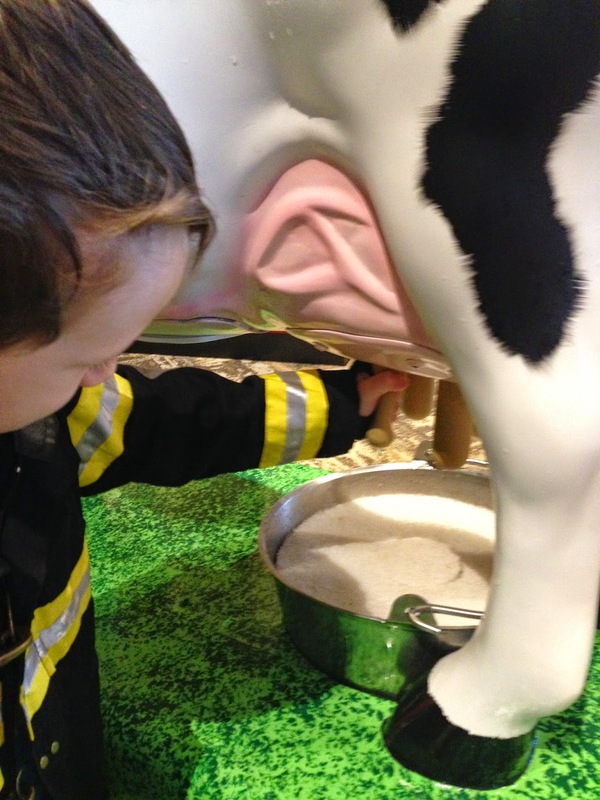 At the farm, kids can plant and harvest vegetables or "milk" a cow. 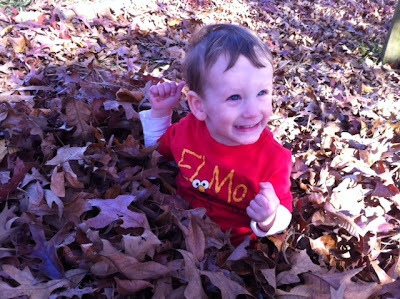 Jaxon's favorite place was the fire station. He dressed in a fireman's jacket and had fun running the lights and sirens and pretending to drive the truck. In the mechanic's shop, Jaxon replaced a "bad" battery and added fluids to the car. The battery buzzed when inserted incorrectly and lit up green when placed correctly. 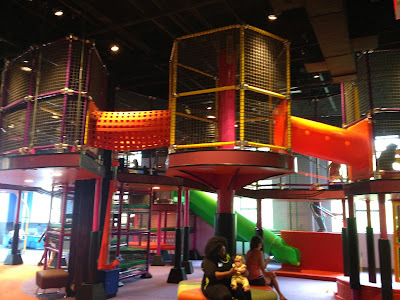 There is also an elevated climbing/playground area (built so that parents can easily enter as well), a water play area, a building area with giant soft blocks and a conveyor belt, and a large train table. There are so many things to do that each visit can be a unique experience. 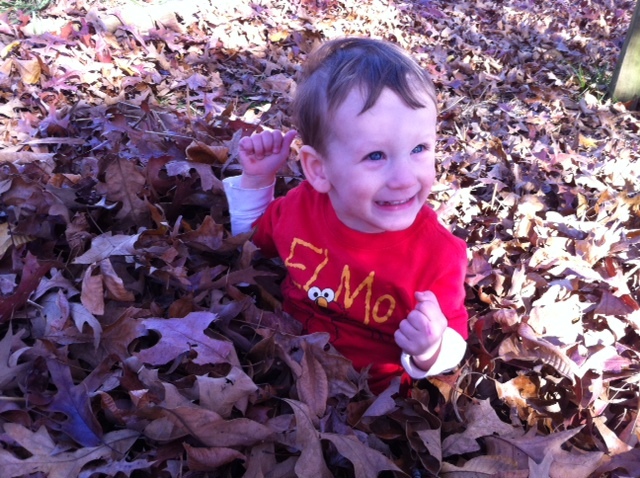 For its youngest patrons, Itty bitty Magic City offers a tot spot. 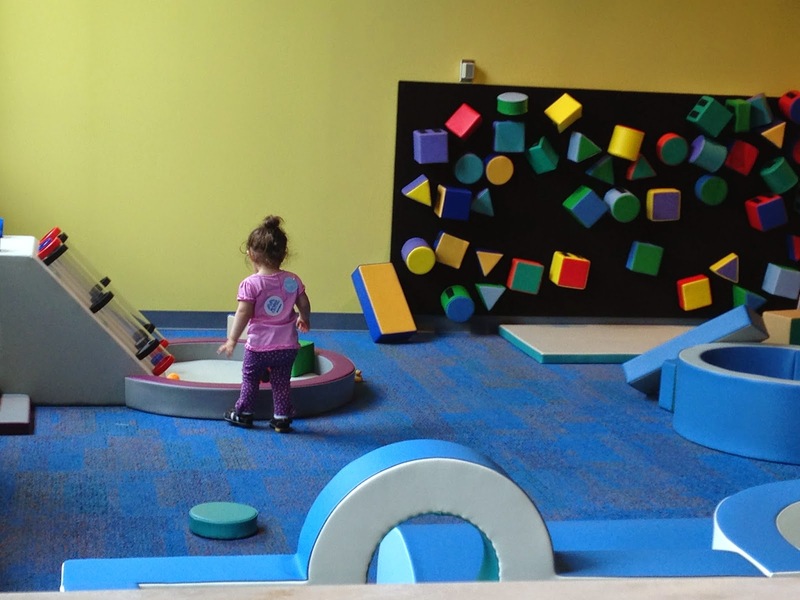 The tot spot features foam blocks and soft surfaces for climbing and crawling. The area is only for ages 2 and younger. There is a low wall separating it from the rest of itty bitty magic city, making it easy for moms of multiple children to supervise preschoolers while baby explores the tot spot. Itty Bitty Magic City also features classroom space. While we were there, two programs on "pets" took place. Jaxon was too excited about the fire truck to attend the program but I'm looking forward to seeing what other fun things are offered in Itty Bitty Magic City in the future. 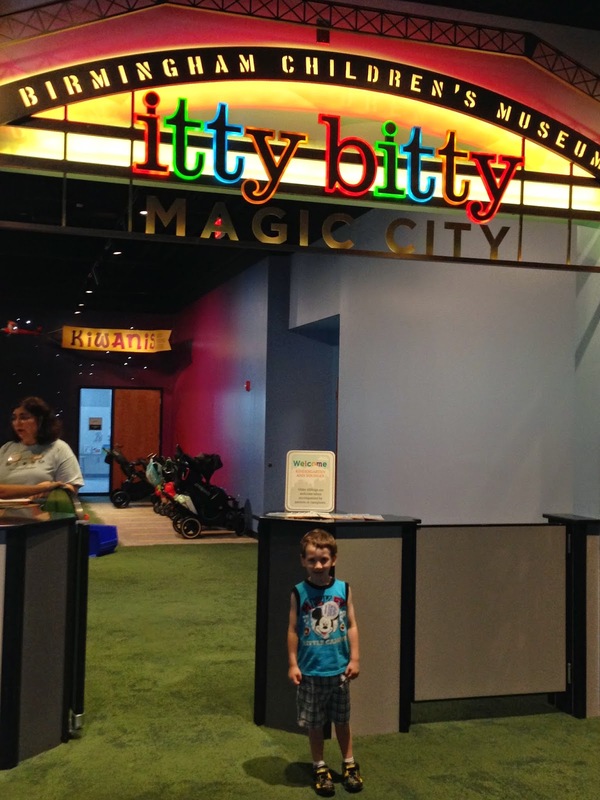 The entrance to Itty Bitty Magic City is manned by a McWane center employee, which helps keep children over kindergarten age out, though siblings of young children are welcome with their parents. There is stroller parking at the front and ample seating for parents throughout the play space. A day pass to McWane (which includes admission to Itty Bitty Magic City) is $13 for adults and $9 for children aged 2 and older. Parking in the deck is $5 per vehicle. 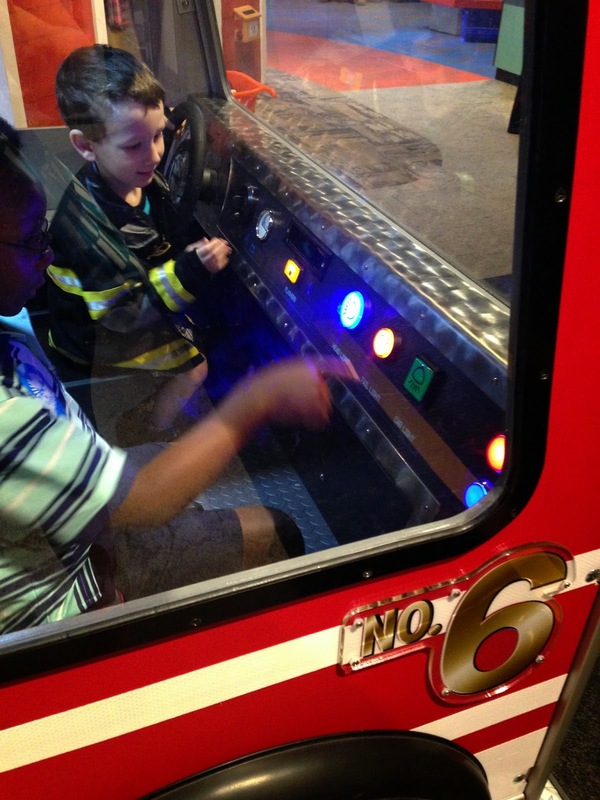 A family membership to McWane is a great value at $110 per year and includes free parking in the deck with each visit as well as discounts on iMax passes and the cafe. 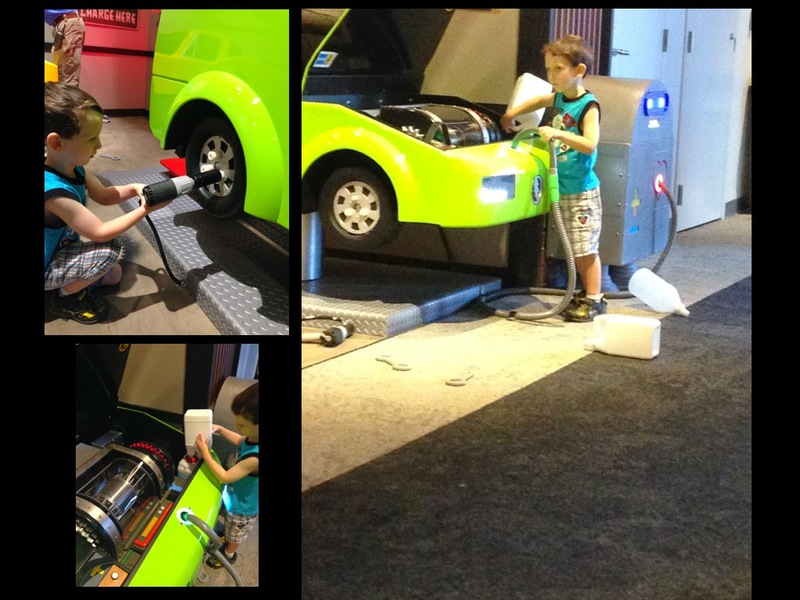 For more information, visit McWane.org. 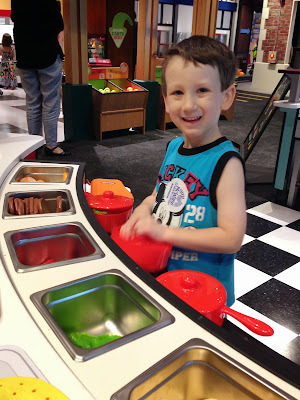 You may also check out my previous review of McWane Center here. I was not compensated in any way for this post. All opinions are my own. I've posted several times about how much I love Publix. It's still my favorite place to shop for groceries. With clean and wide aisles, the freshest produce around, and helpful employees, what's not to love? But how did I forget to mention the savings? That's right, you can actually spend less by shopping at Publix. They are always looking out for your family's budget. From weekly sale ads to special coupon booklets for savings on specific household items, Publix has you covered. 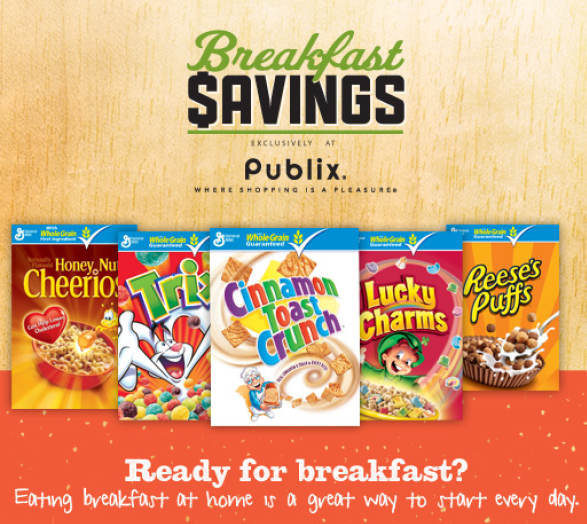 Right now, Publix is offering great savings on your family's favorite breakfast items from General Mills. 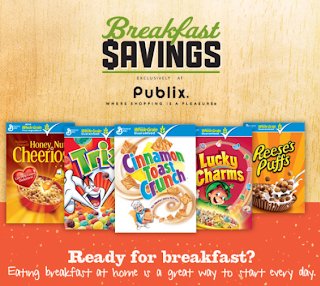 Save on your favorites like Cinnamon Toast Crunch and Cheerios! Publix has made it easy - great in-store savings, as well as a coupon site with extra savings where you can select and print the coupons you want. 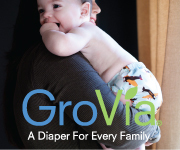 You can find it at http://www.everydaysaver.com/publix. Be sure and bookmark that site while you are there - each month, they change out the specials and coupons! And if the coupons aren't enough for you, can also win a Publix gift card for $25! 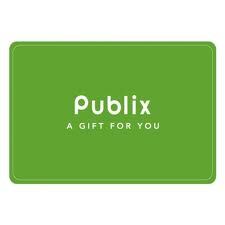 Just leave a comment below telling me why you love Publix! Contest ends April 19th. Winner will be chosen by random.org. U.S. residents only. If your kids are like mine, they love movies, and they also love getting new movies to watch. The new promotion from Big G cereals and Dreamworks is a win for all of us. 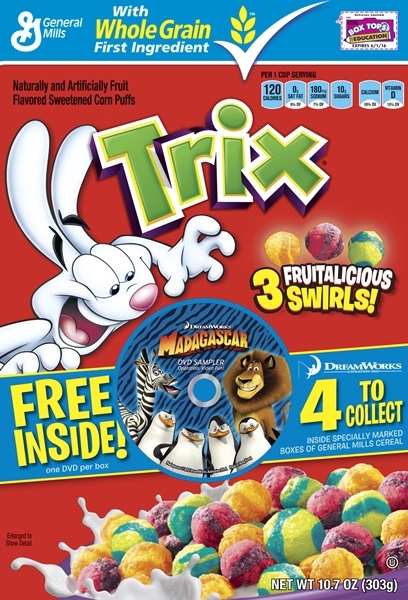 Right now when your purchase specially marked boxes of General Mills cereal such as Cheerios, Cinnamon Toast Crunch, Lucky Charms, Cookie Crisp, Trix, or Reese's Puffs you will receive a DVD sampler from Dreamworks. Each DVD features new content featuring beloved Dreamworks characters from favorite movies like Kung Fu Panda and Shrek. We really loved the movie "How To Train Your Dragon" when we saw it at the theater so we watched that sampler DVD first. The sampler DVD contains previews of Dreamworks new Dragons show on Cartoon network, a music video, behind the scenes footage and more! Dreamworks new movie "The Croods" comes to theaters on March 22. Each DVD sampler includes a first look at this new movie. My kids are really excited about it and can't wait to see it! Alex was even more excited after she read a book about The Croods that was included in our package. Want to see all 4 sampler DVDs? Enter below to win a gift pack that includes all 4 sampler DVDs, a croods book, and a movie reel tin filled with fun movie theater treats! But just in case you dont win, head to the store and pick up a few boxes of your favorite Big G cereal today! I've been a slacker when it comes to my blog over the past 3 months and have only managed to post those reviews & giveaways I had committed to before I lost the time for blogging. Since August, we've had a lot of life changes and to say I've been overwhelmed is an understatement. I'll have to try to update more on that later but for now, I want to talk about my sweet baby boy and document some of his achievements. 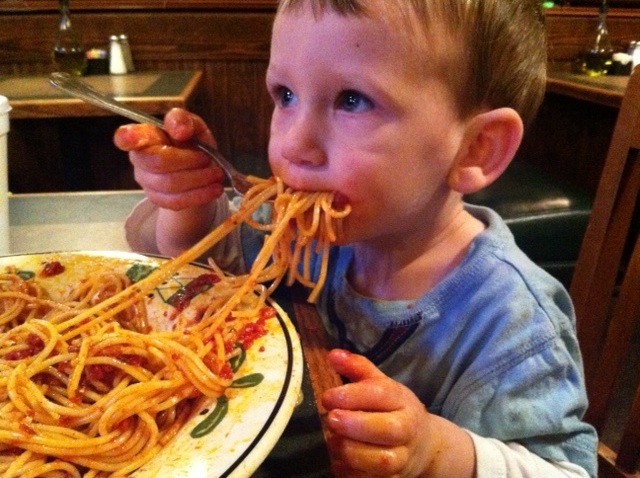 At 21 months, Jaxon is talking...a lot. His vocabulary is definitely larger than any of our other kids had at this age. He also speaks very clearly so even strangers can understand him (this can be a good and bad thing!). At this point he says so many words I couldn't begin to list them all. He also has a great memory and rarely needs to be told the correct word for something more than once. He loves Elmo, but doesn't have patience for a whole episode on TV - the theme song is enough for him! His favorite phrase is "me too!" and he says it often in response to most of the things his siblings say. It's adorable...and a little frustrating sometimes since he can't always be involved in everything they do since they are so much older. He really thinks he is older than he actually is. I find Jaxon to be a very picky eater, but he loves spaghetti, salad, fruit (especially kiwi and watermelon), eggs and pizza. He's a cheese snob and prefers gourmet varieties from Whole Foods to standard Kraft. He doesn't like meat, and especially seems to turn his nose up at chicken. I think keeping chickens caused him to decide chickens were for chasing, not eating. -point to all his body parts as I call him out, including things like his forehead, back and tongue. The only thing he has trouble with are knees- he always points to teeth when I say knees! -retrieve items from other rooms for me or put things away where they belong. -recognize landmarks and stores. When we pull up to Wal-Mart he says "Mal-Mart" and says "football" when we pass the football field. When we get to the end of the road that leads to our church/his school, he says "Yay!" in anticipation of our arrival (and on days we don't turn in to the church/school, he cries and tells us to turn around!). He also knows which restaurants have his favorite foods and calls them out as we pass by or turn in. The first is he is still breastfeeding, though typically it's only at night. I'd love to wean him, but I don't know how. He's very uninterested in weaning and I'm having a hard time taking a firm stance against it. The second baby like thing he does is wake during the night, often. He is not a good sleeper. At all. On most nights, he has difficulty settling down and when he finally does, I'm lucky if he sleeps for 3 hours before waking. Once he wakes the first time, he's often up every 1-2 hours after that. I keep hoping his sleep patterns will magically change, but so far, no luck on that.